Wisdom teeth extractions are some of the most common procedures we perform at North Shore Oral & Maxillofacial Surgery. Dentists understand the importance of this procedure for their patients’ long-term oral health, which is why many dentists refer their patients to our Dr. Scott Frank. 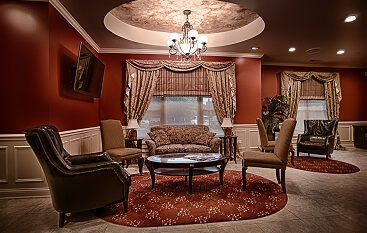 If you are seeking someone to perform your oral surgery in Buffalo Grove, Chicago, or the surrounding area, then you have found the right place. Dr. Frank has performed thousands of wisdom teeth removals in his career, and our staff will be here to support you before, during, and after the procedure. To schedule a consultation for yourself or your son or daughter, contact us by phone or online. Today, wisdom teeth are considered a vestigial body part. They are similar to tonsils and appendixes in that regard. And like those other body parts, we usually only hear about them when they are causing a problem. An inflamed appendix can create a number of health problems. Likewise, infected tonsils can create a number of problems as well. Wisdom teeth can pose a number problems for modern humans. This is why experts estimate that 75 to 85 percent of people will need to have them removed. We know that modern humans have smaller jaws than our ancestors. Most of us simply do not have enough room for our wisdom teeth, also called our third molars, to erupt correctly. This can cause wisdom teeth to become partially or fully impacted. Partially impacted teeth break the surface of the gums. Fully impacted teeth remain below the gumline. Dr. Frank can perform your wisdom teeth extraction to alleviate those concerns. Many times before your wisdom teeth can cause any real problems. When Should You Be Concerned About Wisdom Teeth? Most people’s wisdom teeth start to develop when they are teenagers although some people’s wisdom teeth may not develop until their early 20s. Most general dentists will take X-rays as part of your routine visits. As long as you are seeing your dentist regularly, he or she will have an idea how your wisdom teeth are coming along. If you have not been to the dentist in awhile, Dr. Frank would encourage you to go while you are young (teen, early 20s). The longer your wisdom teeth are allowed to grow, the more likely they are to create problems with your oral health. Plus, removing wisdom teeth removal becomes more complicated as you get older. In the case of wisdom teeth, this can mean anyone 25 years old or older. Dr. Frank would much rather perform a wisdom teeth extraction for preventive reasons than to perform this procedure because of constant pains and infections in your mouth. Our staff at North Shore Oral & Maxillofacial Surgery will do everything that we can to help you prepare for your wisdom teeth removal. Your comfort is of the utmost importance. This makes it easier for you before, during, and after the oral surgery. This includes making sure you receive the correct anesthesia and dental sedation. This is administered by trained professional to keep you comfortable and pain-free throughout the procedure. We also will be available to answer questions that you may have during your recovery. In the aftermath of your wisdom teeth removal, bleeding is common. Gauze can be used to apply pressure and to absorb blood. We will send some home with you (or a family member or friend). You must have someone else drive you home after your procedure. You will be in no condition to drive because of the lingering effects of the anesthetic. Dr. Frank or another member of our staff will provide you will a list of instructions to follow as you recover. By following these steps, you greatly reduce your risk of post-surgery problems. Dr. Frank can prescribe antibiotics and pain medicine for you as well. This can help you manage any soreness you may feel and help to prevent infections as your gums heal. Preventive steps like wisdom teeth extraction can save you from a lifetime of oral health issues. 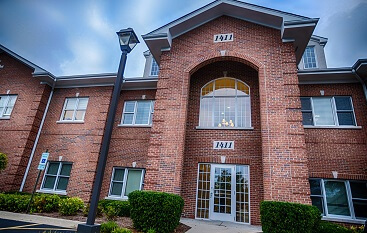 There’s no better place to go for this procedure than North Shore Oral & Maxillofacial Surgery. 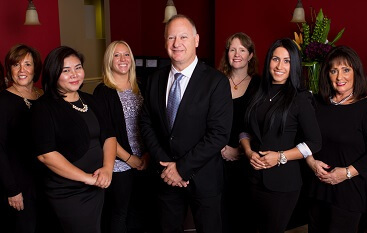 To make an appointment with Dr. Frank at our office in Buffalo Grove, IL, contact us online or call 847-613-4933.